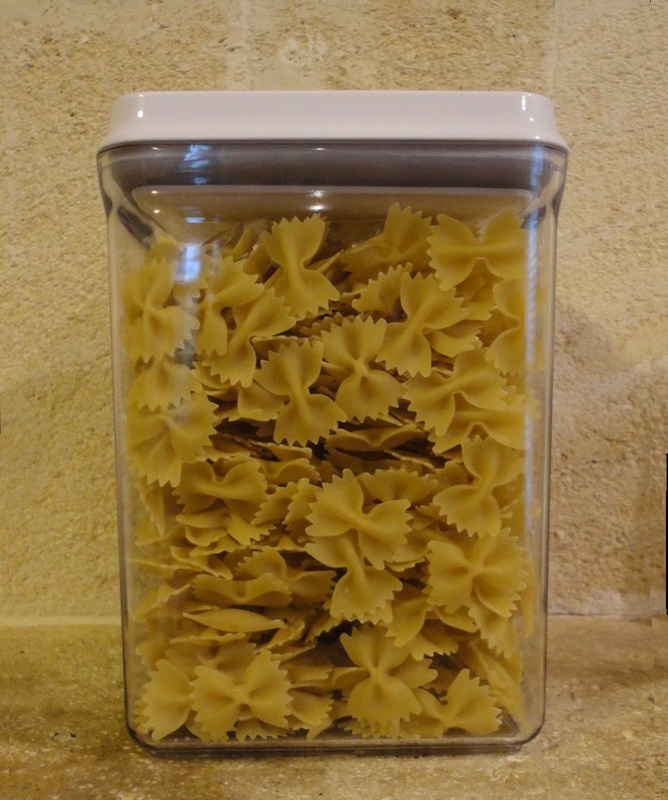 I already had a similar container, so I was curious to try a different brand. They are every bit as good, and I love the different shapes. 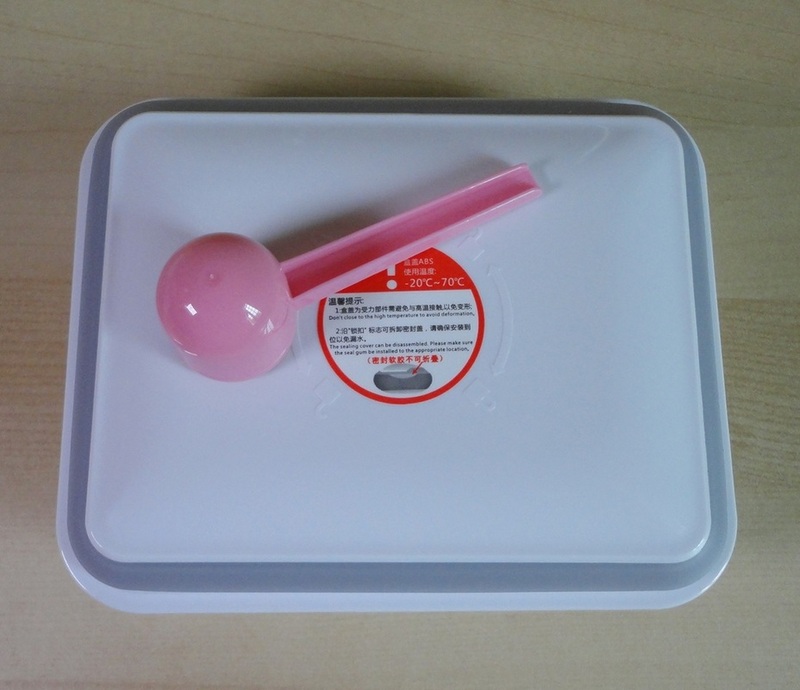 A cute measuring scoop is included together with an ingenious silicone accessory that can be attached to the post in the lid; it's obviously designed with powdered milk in mind and it serves two functions: to suspend the lid from the lip of the container; and to hold the scoop just under the lid, so it doesn't get lost in the powder. It's easy to remove, if you don't need it. The self-sealing system is great, it works literally at the push of a button. 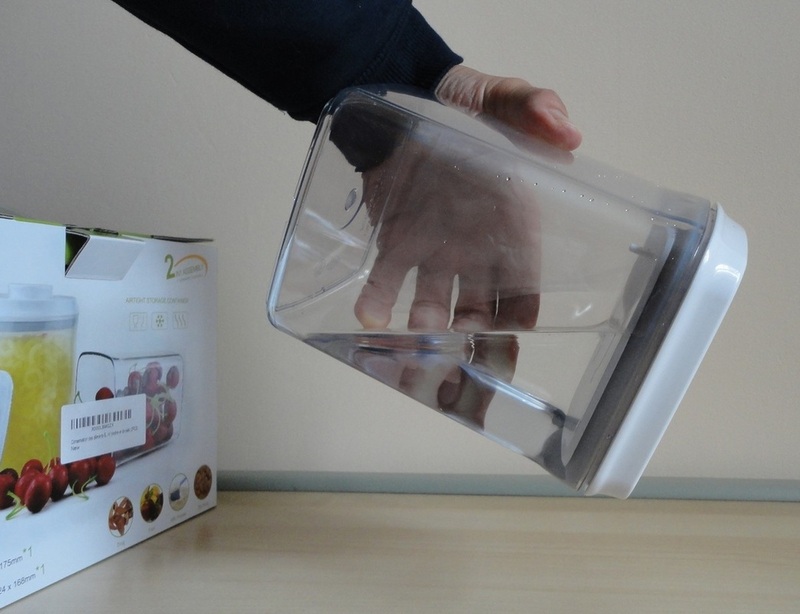 One push to seal and another to release the vacuum before opening the container. 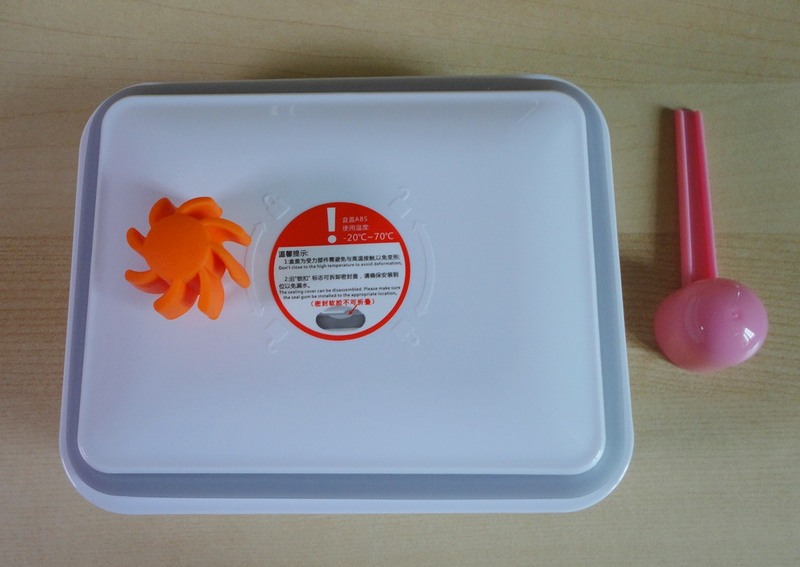 Tested with cool water, the seal holds perfectly, but the makers caution against steaming liquids which can distort the seal and cause burning steam to escape. The hard plastic materials look durable but can be scratched, so make sure you use soft sponges when washing them and no dishwasher! 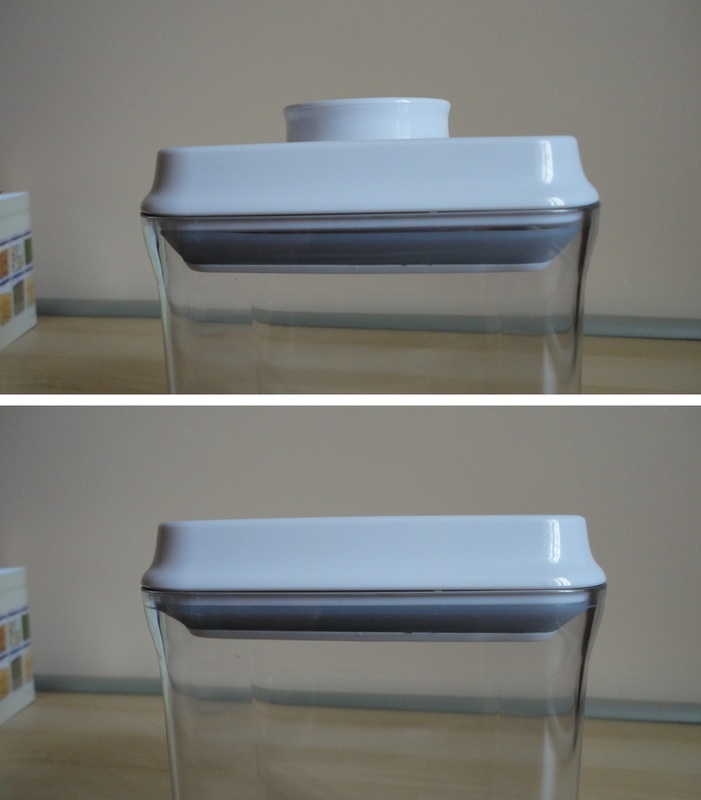 I also noticed that water can enter the inner part of the lid and become trapped. 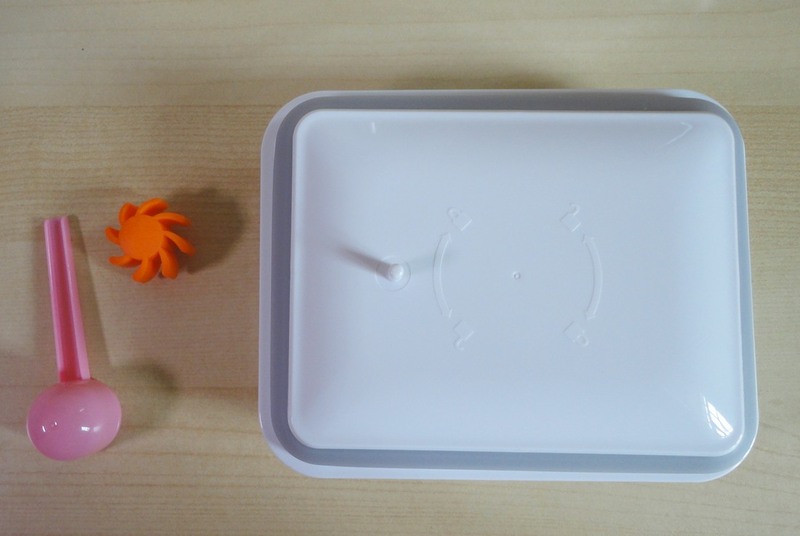 It's an inevitable feature of the sealing design, but careful washing can avoid any issues. Although suitable for left-overs and sauces, I would avoid stressing them with very hot liquids. I use mine mostly for dry foods. 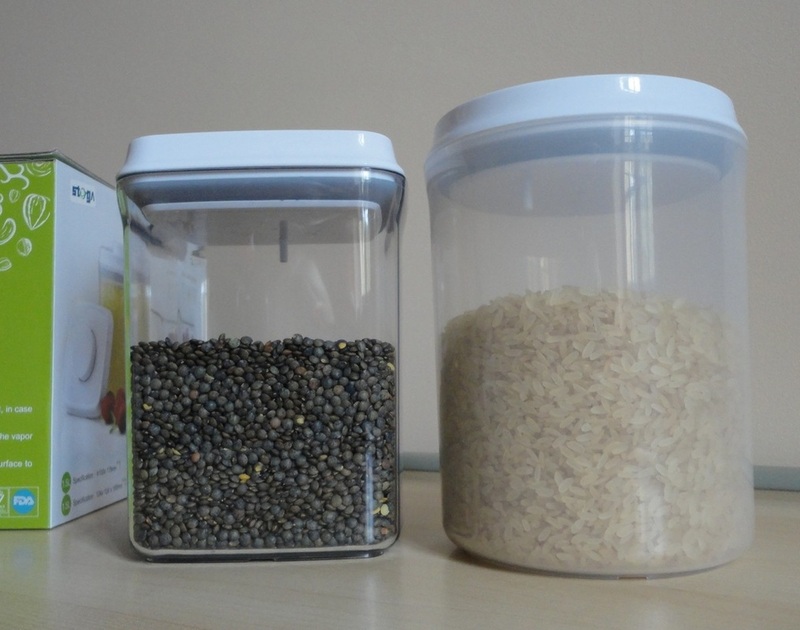 These containers can go in the fridge (and freezer but, personally, I would not chance it). 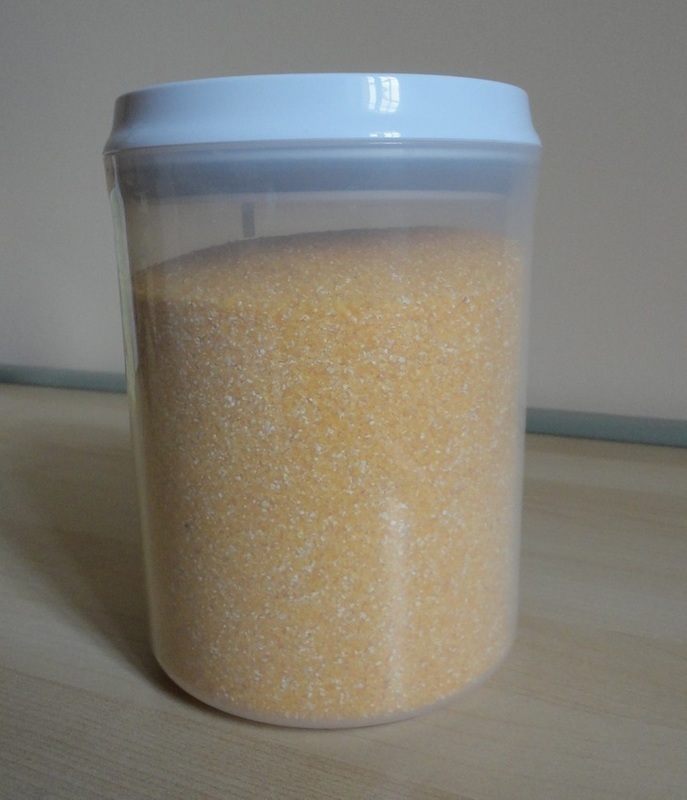 The stated safe temperature ranges are -20° to 70°C. 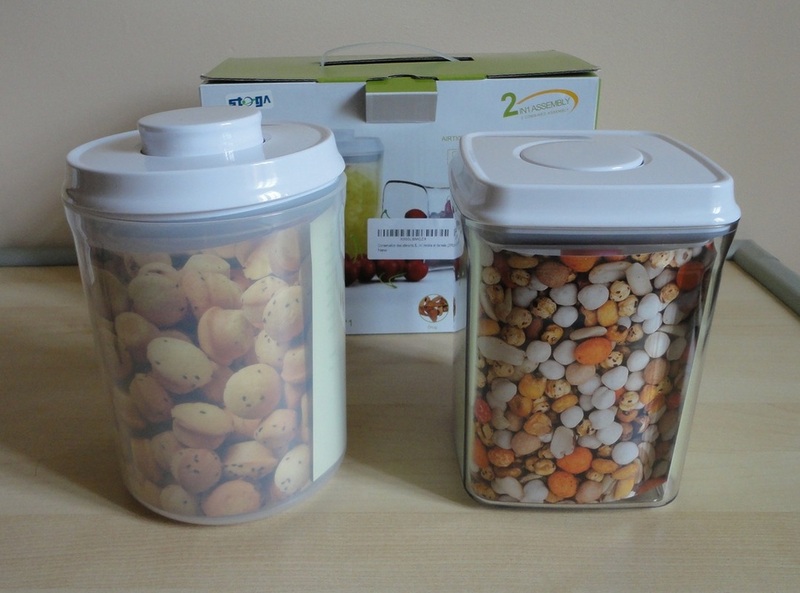 Both containers in this set hold 1.5 litres, which is a very useful size to store the contents of opened packages fresh and organized: pasta, coffee, sugar, flour, cereal, biscuits, cake, herbs, spices, nuts, beans; but also cheese, left-overs, salad ingredients and just about any type of food that should be kept sealed, protected from air and contained. 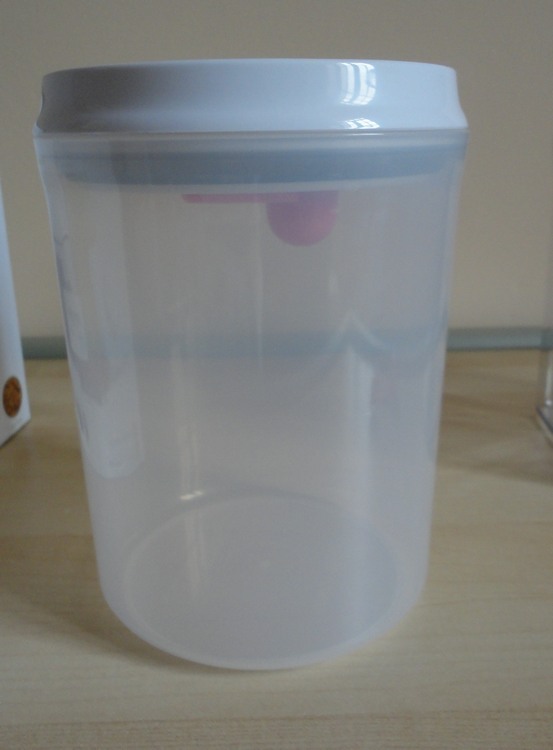 The round one is made of a slightly softer, less transparent plastic, but the lid is the same. 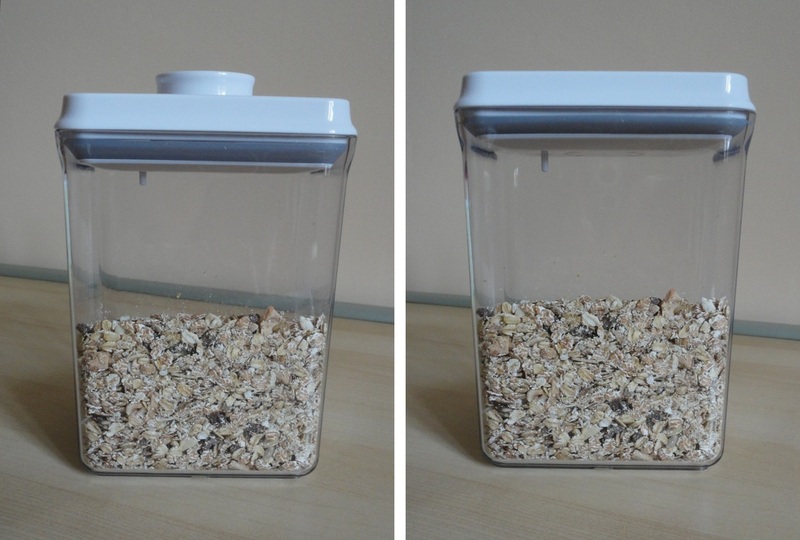 Sold separately, this container holds 2.5 litres, quite a large amount and very useful to store cereal, pasta or rice, once the box is opened. 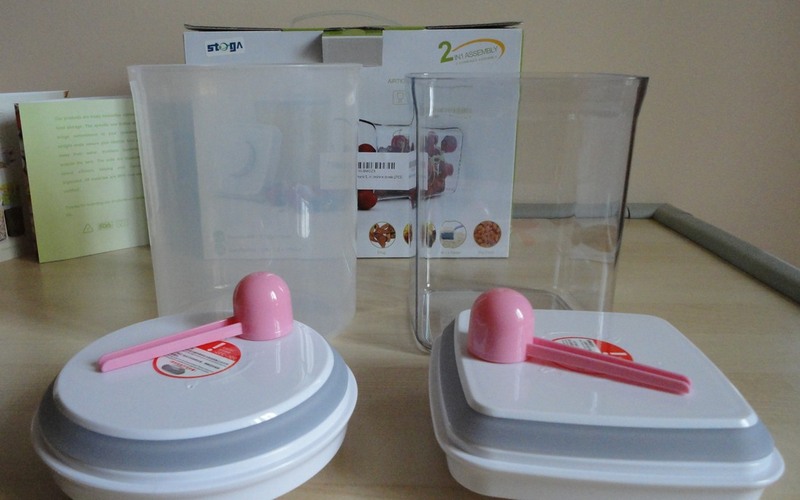 Of course, these boxes can be used to store things other than food, and the clear, see-through sides make them ideal for many purposes.